“It’s natural that a hot tub be integrated into the connected home, delivering convenience and peace of mind,” agrees everyone at Rocky Mountain Pools and Spas. Installation is simple. Connect the home network adapter to the home’s router, and download the app. The Connextion app can be downloaded for free and is compatible with leading smartphones, including the Apple® iPad®, iPhone® and iPod® Touch, and Android™-enabled devices. Hot Spring spas with advanced options, including the ACE Salt Water hot tub sanitizing solution, are the only tubs to sell over one million units and are highly supported by Rocky Mountain Pools and Spas and the Dealer network including the industry leading manufacturer warranties from Watkins. 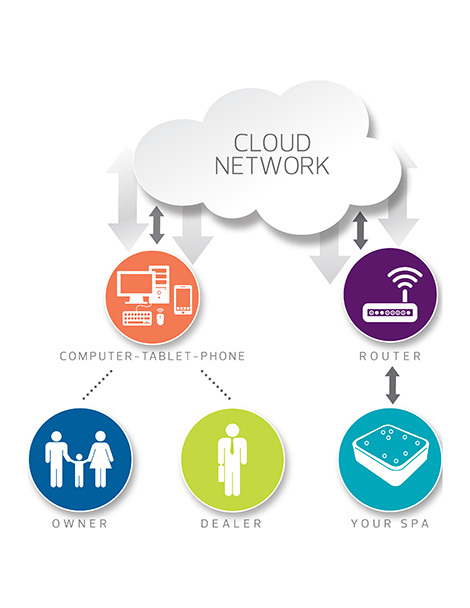 A comprehensive secure system that provides peace of mind knowing your spa is safe, being looked after, monitored and controlled, even when you are away, or at work and busy. 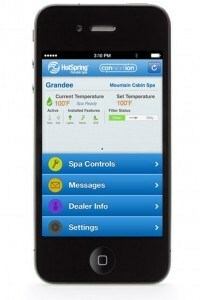 Should your Hot Spring® spa need attention, the Connextion messaging system instantly alerts you, initiates a service call to us, allowing your spa to be serviced at the earliest opportunity. The Connextion system provides the added convenience of accessing spa functions remotely – so you can ensure your spa is ready when you want it to be, conserving energy until you want it on standby. Enjoy entertainment wirelessly as you wind down in your spa, by streaming music live or listening to your own music library from your Bluetooth® enabled device. Leave your music source inside, while listening to it outside in your Hot Spring spa. With our In-Home Wireless Dock, you can connect with virtually any audio source you choose: iPod®, iPhone®, MP3 player, satellite/AM/FM radio, CD/DVD player to instantly transmit to your spa. Change tracks, adjust volume and play or pause through the spa’s main control panel using your Apple® device. With our exclusive Wireless TV option you can easily transmit your favorite show to the hot tub without running cable to your spa. The 17” widescreen LCD TV is waterproof, temperature resistant and rotates so you can enjoy viewing from almost anywhere in your yard. Integrated into the spa cabinet, this system features an iPod dock and auxiliary input for other MP3 players. Also included is a waterproof remote that allows you to control iPod track and volume from inside or around your spa. Music, media and peace of mind guaranteed. Contact us with any questions you may have or book some time with our friendly, knowledgeable sales staff. Send Private Confidential E-Mail here. 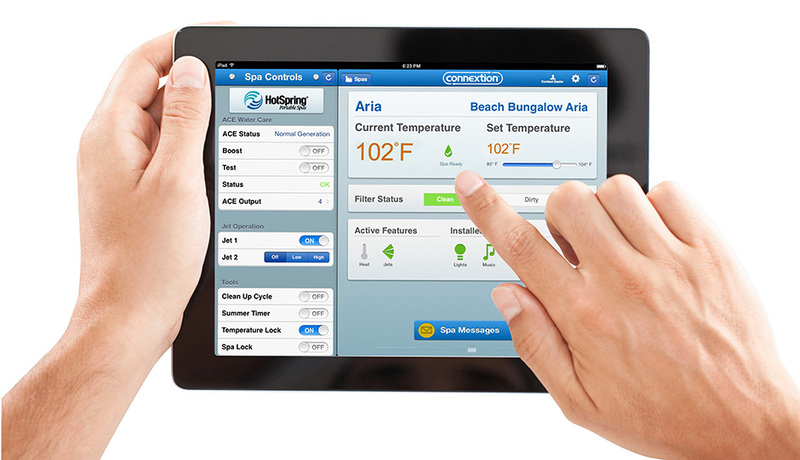 Whether the hot tub is located at the owner’s main residence or time zones away at a vacation home, Connextion provides push-button control and real-time monitoring of key Hot Spring spa functions.